The Walsh College Board of Trustees has voted to appoint Marsha Kelliher as the school’s seventh president and CEO. Kellliher brings academic leadership, teaching, business, and legal experience to the role. She comes to Walsh from Susquehanna University in Selinsgrove, Pa., where she serves as dean of the Sigmund Weis School of Business. 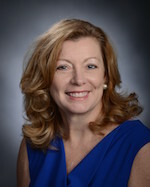 Since joining Susquehanna University in 2013, Kelliher led the development of four new majors and the redesign of the school’s London program, initiated a Women’s Leadership Symposium in New York, and led the reaffirmation of the Business School’s AACSB accreditation. Previously, she spent 19 years at St. Edward’s University in Austin where she held numerous leadership roles, including dean of the School of Management and Business, and oversaw graduate and undergraduate business programs. In 1982, Kelliher began her career in the consulting department of Peat, Marwick, Mitchell, and Co. Kelliher is licensed and has practiced law in both Texas and California, and was admitted into the National Academy of Arbitrators in 2013. Kelliher, who will be relocating to metro Detroit from Selinsgrove, Pa., succeeds outgoing president Stephanie W. Bergeron, who announced her retirement last spring. Kelliher will begin her role in April 2017.
â€‹Kelliher holds a Master of Laws degree in Labor and Employment Law from the University of San Diego and a Juris Doctor from South Texas College of Law. Her bachelor’s degree is from Indiana University.